Precision handcrafted sundials and weathervanes for customers worldwide. Man has, for thousands of years, adorned his dwellings and structures with weathervanes. 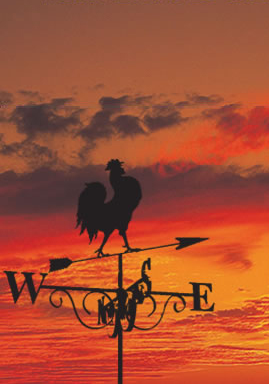 Weathervanes Exclusive continues this tradition with the design and crafting of fine quality weathervanes. 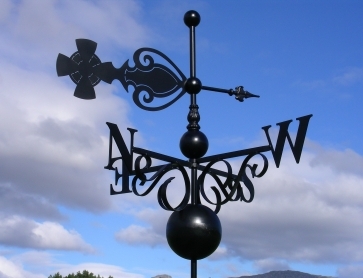 Our highly experienced master craftsmen ulitise the age old tradition of crafting methods together with the latest technology which presents weathervanes finished to a fine degree of accuracy. Should you like a personal design, your club's details or corporate logo etc, we are able to assist. Classic weathervanes are of a more decorative nature and designed for those who would like more detail. 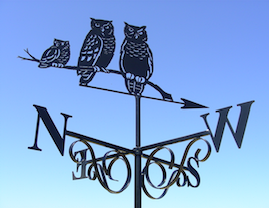 They make the perfect gift and can be selected from our range of hundreds of weathervane designs – or create your own design. 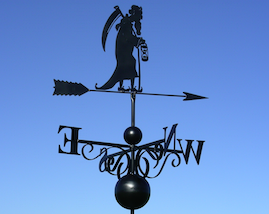 The Architectural weathervane range has a particular appeal and makes the perfect gift and your design can be selected from our range of hundreds of weathervane designs – or create your own design.